The Visual and Performing Arts (VAPA) program within the College of Letters, Arts and Sciences has added dance as a declarable major. Kevin Landis, director of VAPA, said that arrangements for the major were made for the Spring 2018 Semester with its full debut happening this semester. When Landis started at UCCS nine years ago, dance classes for credit were not an option. The new major is now being included as its own track within the VAPA program, alongside the other four major disciplines: theater, film studies, music and visual arts. Landis credits the growth within VAPA to the additional space provided by the Ent Center for the Arts. Holly Seidcheck, a theater major minoring in dance says that the Ent Center changes everything for majors in the VAPA program. 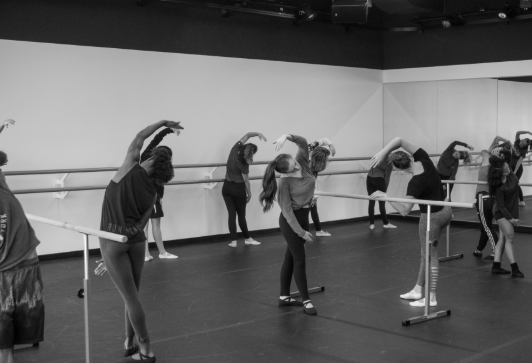 The Ent Center officially opened in the Spring of 2018, which coincided with dance being approved as a major. A professional dancer with the Ormao Dance Company, David Foster is also a student at UCCS. He’s one of the first dance majors to declare. “Being a dance major for me is going to help put that box on my resume as a professional dancer. It’s like that next step, that next boost,” said Foster. Foster is dedicated to dancing as his career, having taken classes both at UCCS and Pikes Peak Community College.